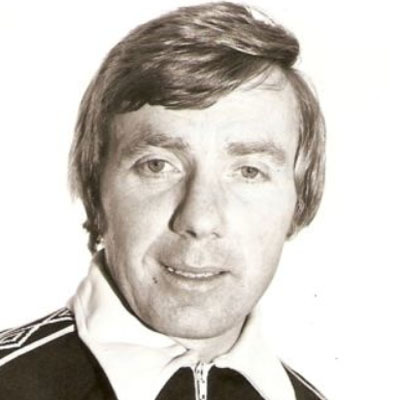 The beginnings of the great Clydebank side were starting to come together and Sam's final season as a player saw the club lift the Second Division Championship in 1976. Sam Immediately joined Bill Munro's backroom staff as the club made it two successive promotions to play in the Premier League for the first time. With the loss of Davie Cooper and Mike Larnach, Clydebank were inevitably relegated back to the first Division. After failing narrowly to return to the Premier League in the following two seasons, the Bankies began to decline a little. At the start of the 1981-82 season after an indifferent League Cup campaign, Bill Munro surprisingly handed in his resignation. Sammy Henderson immediately took over for the next game and the position was soon made permanent. Over the next few years the Bankies were regular promotion candidates, and finally succeeded in season 1984-85 finishing as runners-up to Motherwell. Once again, life in the Premier League was tough for the Bankies but memorable victories over Rangers and Aberdeen were achieved. The Bankies had an abysmal start to the 1987-88 season,but recovered to finish in third position in the league, but with only one promotion spot available Clydebank were never truly at the races. This was to be Sam's final season with the club as outside business pressures led to him having to give up his position with the club ending a fifteen year association.